Step 1 Boil the potatoes in a large pot of salted water. Meanwhile, put the milk, garlic, rosemary and thyme in a small saucepan, bring to a simmer, then remove from the heat, cover and leave to infuse. Step 2 Drain and mash the potatoes using a potato ricer if you have one. Put in a bowl and keep warm. Step 3Strain the flavored milk through a fine sieve, add the olive oil and gently reheat in a saucepan. Step 4Sir the warm olive oil-milk mixture into the potatoes. Season with salt and white pepper. Garnish with the light green olive oil and sprinkle with cracked black pepper. In Recipes-list.com we have selected the most viewed recipes from category - Sides Vegetarian . Enjoy the best recipes specially selected for you! 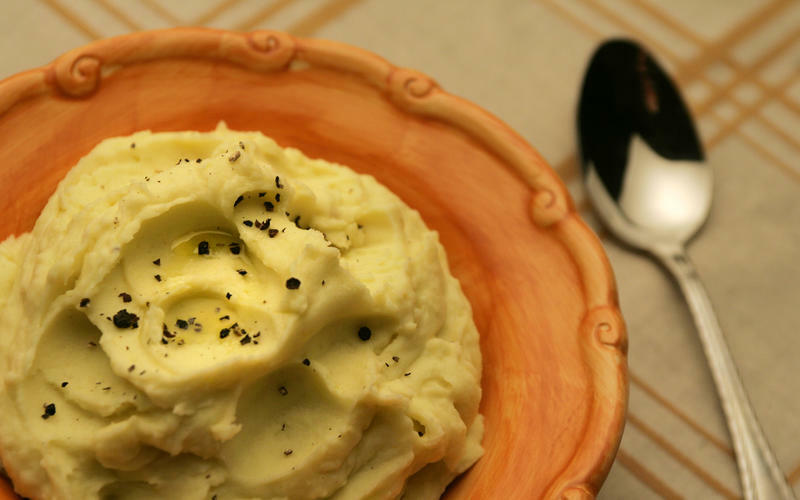 Olive oil mash is the right choice that will satisfy all your claims.